Some newspaper vendors have lamented that they have been thrown out of jobs and are looking for other means of survival, all thanks to online media. 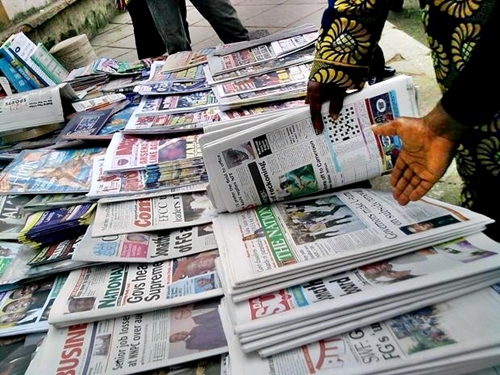 Newspaper vendors in Bauchi say they are facing hard times following a drop in sales of newspapers as a result of the advent of online publications. ‎Some of them, who spoke with the News Agency of Nigeria (NAN) on Tuesday said that they were almost thrown out of job as most of them had to look for other means of sustaining themselves and their families. One of them, Sani Ismaeel, lamented the development, saying he had been reflecting with nostalgia, the ‘good old days’ when they were in ‘real business’. “I have been a newspaper vendor for over 15 years, but vendors now have challenge of lack of sales; with the advent of online publications, people have now resorted to reading online newspapers. 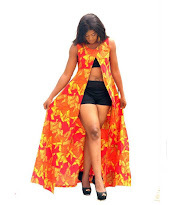 ‎“This has adversely affected the sales of newspapers, leaving us helpless; in those years, I make at least N30, 000 daily, now I hardly make N3000 a day. ‎“This is affecting me economically; I cannot meet up with my family obligations, which are essential,” he said. ‎ Another Vendor, Rilwanu Ubale, said prominent customers noted for buying newspapers, and who even booked for same in advance in those days, no longer do same. ‎“I can sit here the whole day without making N4000, unlike 10 years ago, when I used to make 30,000 to N40, 000 daily. ‎“My means of livelihood is at stake; I find it difficult to cater for my family now,” he lamented..
‎‎Musa Ahmed, a Vendor, told NAN that he had been selling newspapers in Bauchi for 15 years but never had it bad until the advent of online papers. “Honestly, we have had a drop of not less than 70 per cent in sales and I have no over job than this one. ‎“It is the only means for securing the basic necessities for the family; we are going through hell now and I am in a dilemma,” he said. ‎Babayo Adamu, another vendor, explained that the drop in the sales of newspaper would sooner than later sweep all of them out of job. ‎“It is not business as usual; definitely, it is never a happy moment for us; we will be here from morning till night, but make nothing significant,” he said. ‎‎Abdullahi Ahmed, a media practitioner, said that the economic situation in the country, coupled with the emergence of the new media, is making the print media shrink, both in number and circulation. ‎“At the rate at which sales of newspapers is dropping on a daily basis, we shall soon wake up to find out that newspaper vendors had gone extinct because the job no longer pays,” he said. A newspaper reader, Bulus Kazhi, said online papers were making headway. ‎“They deploy the use of social media to circulate wider and faster, on twitter, WhatsApp, Facebook, and so on. ‎“The news is broken as it is happening, whereas, the mainstream newspapers have to wait to report it the following day, and the reader may not want to read stories that happened a day before. ‎“Some print media even quote online sources in their stories; by the time the print goes to press, more news is breaking,” he said.